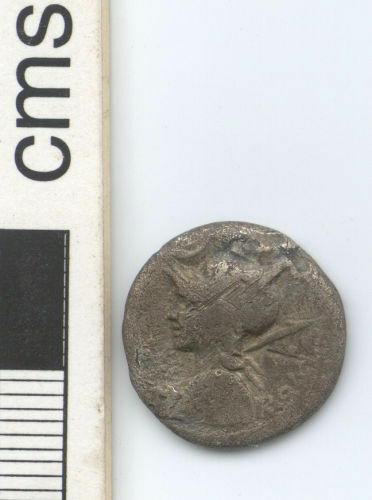 Obverse description: Helmeted bust of Roma facing left, holding a spear and shield, Barred-X value-mark before, crescent above, ROMA behind. Reverse description: A voting scene, with two citizens casting their ballots assisted by an attendant. 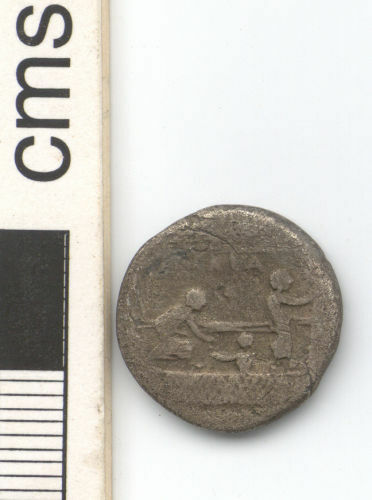 Roman Republican silver denarius, 114-113 BC.